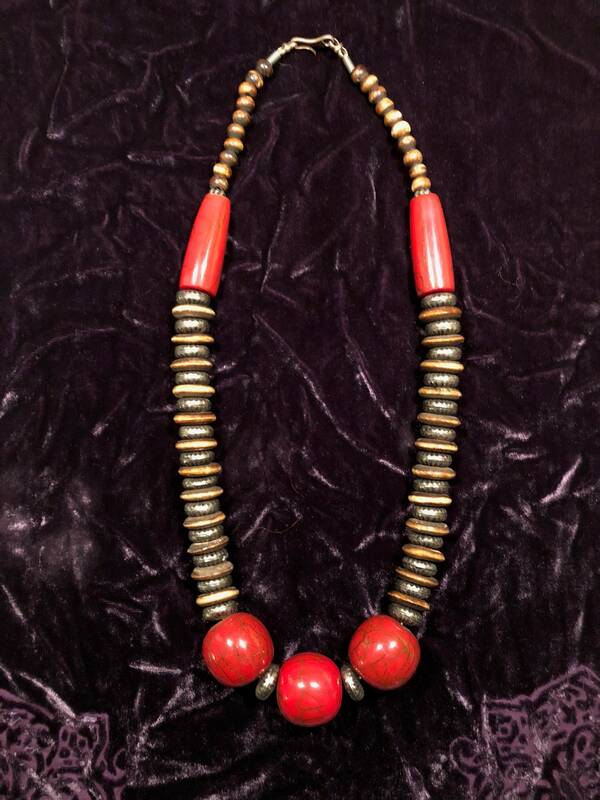 Vintage Tibetan tribal necklace, acquired in Nepal. 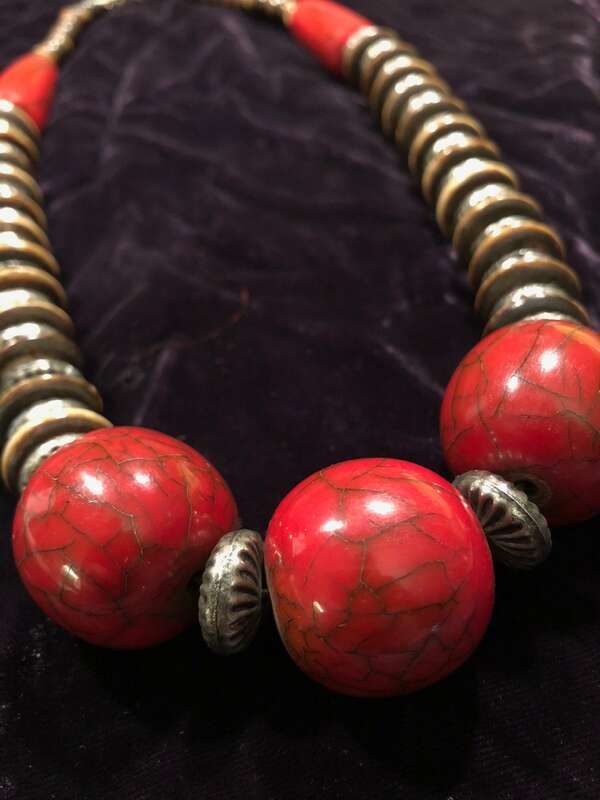 Red simulated coral and Tibetan silver beads. 25" long with a hook and ring closure. Unisex.